LAS VEGAS, April 1, 2019 -YurView, featuring the best of local and regional television content, will broadcast ten live baseball matchups between the Las Vegas Aviators® and various teams within the Pacific Coast League during their inaugural 2019 season. 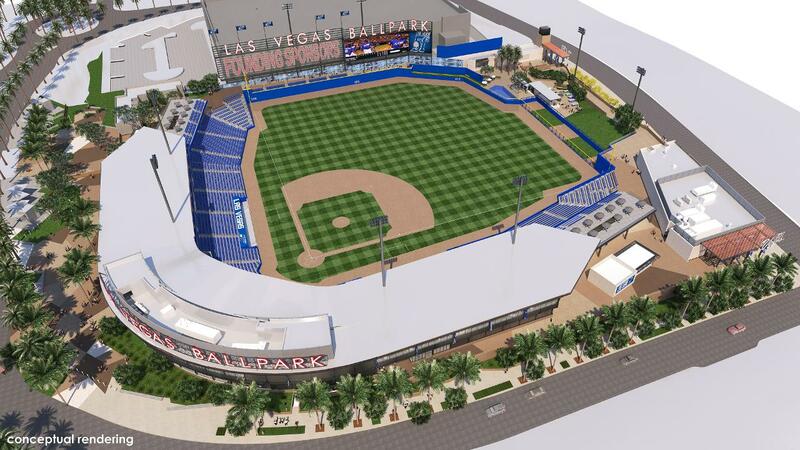 All games will be broadcast live from the new Las Vegas Ballpark® on Cox cable channels 14 and 1014 in high-definition. "We couldn't be any more enthusiastic about supporting the inaugural year of a new Las Vegas sports franchise," said Mike Bolognini, vice president and market leader of Cox Las Vegas. "Cox Communications has been providing regional sports broadcasting for over 17 years, but this opportunity to support the Las Vegas Aviators and fans in Southern Nevada with their first play-by-play action from a new team makes for a real high point." YurView from Cox Communications features the best of local and regional content on linear television, streaming and digital platforms. It showcases Emmy® award-winning sports coverage as well as original programming that covers the outdoors, entertainment, arts, events, people, businesses, news, and more. YurView connects communities through the stories that matter most to the people who live there. In the Las Vegas area it airs on Cox cable channel 14/1014 as well as On Demand through the station's online content hub, YurView.com/LasVegas. YurView Las Vegas is an affiliate of the 11 station YurView network serving the Cox footprint across the U.S.